Be amongst the first to experience our newly renovated La Quinta Inn & Suites Indianapolis North/Pyramids. New dcor throughout the hotel and guestrooms will completely enhance your guest experience. 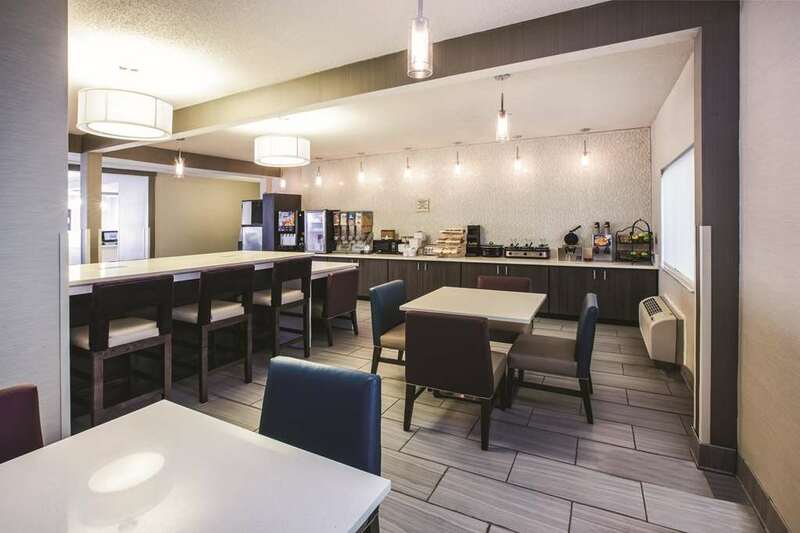 The La Quinta Inn Indianapolis North at Pyramids hotel in Indianapolis, IN is a beautifully appointed hotel located just minutes from the Indianapolis Motor Speedway, Indiana State Fair Grounds, and the RCA Dome. The Indy 500, Indiana State Fair, and Indiana Basketball are just some of the many events to experience. Whether you are in town for business or here for fun, the La Quinta Inn Indianapolis North at Pyramids is the place to stay. At our Indianapolis hotel, enjoy our spacious rooms with amenities such as a coffee maker and free high-speed Internet access (wireless access throughout the hotel). All rooms are equipped with a microwave and refrigerator. Take a dip in the sparkling indoor swimming pool. Our courteous staff serves a free Bright Side Breakfast each morning.